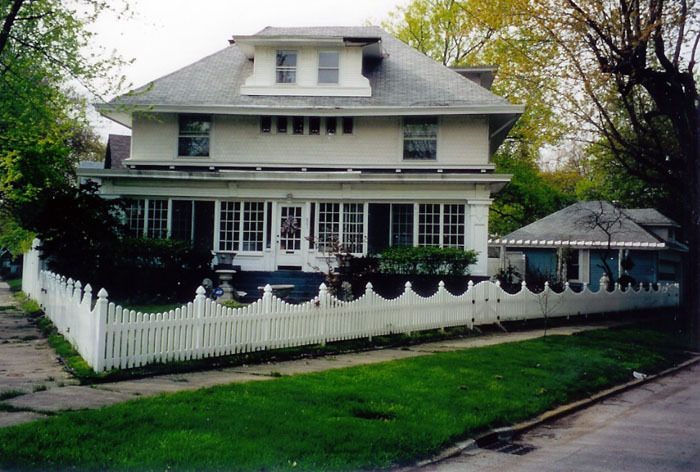 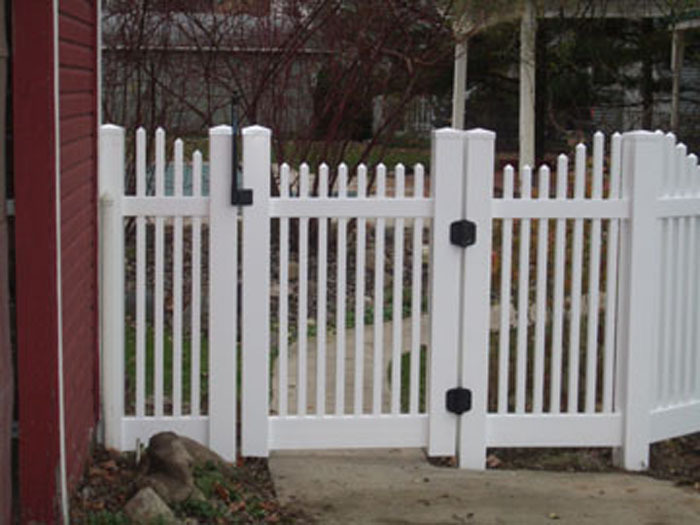 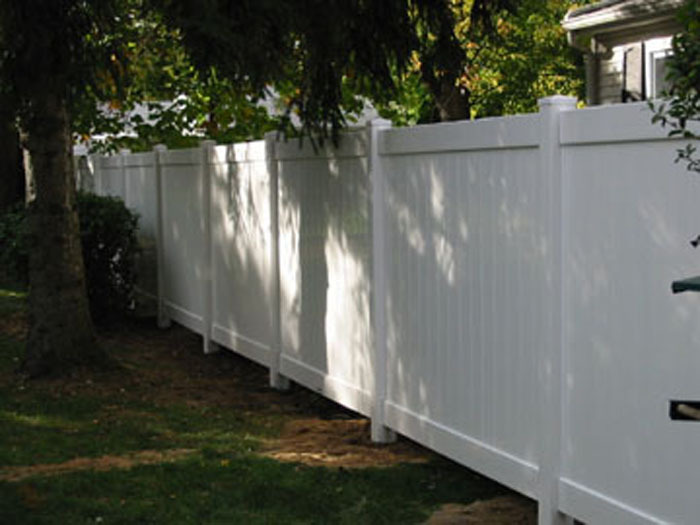 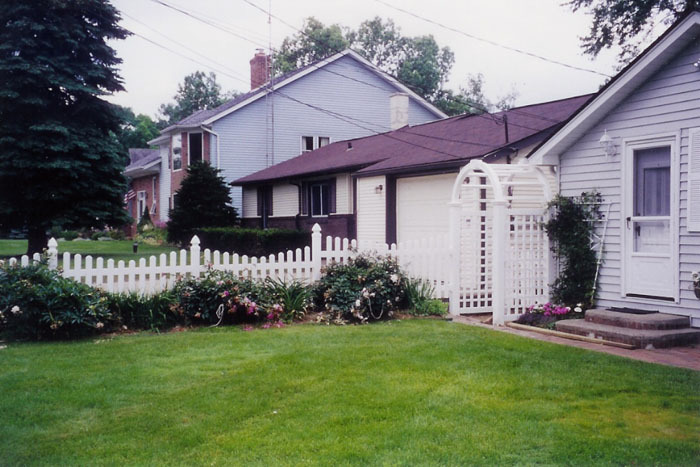 The day a vinyl fence is installed, all traditional fence maintenance halts. 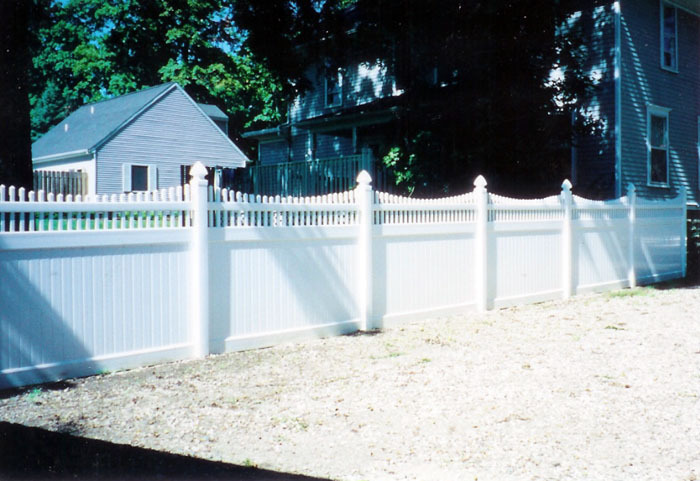 Vinyl fencing is a striking addition around your home, recreation areas, swimming pools, or driveways. 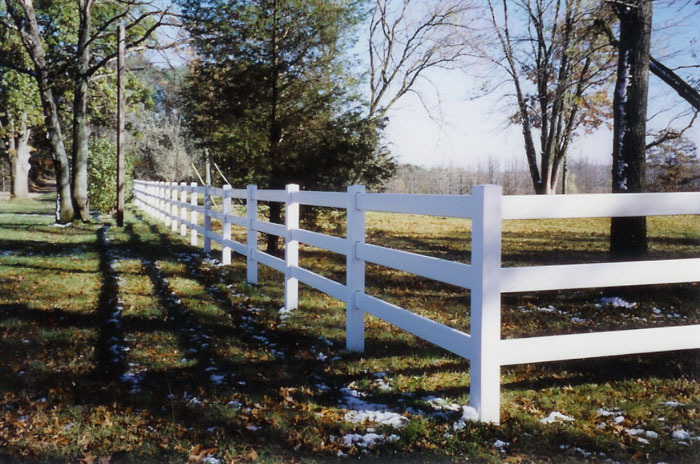 It is a sensible and efficient addition to any country club or golf course perimeter, and an innovative investment that is trouble free. 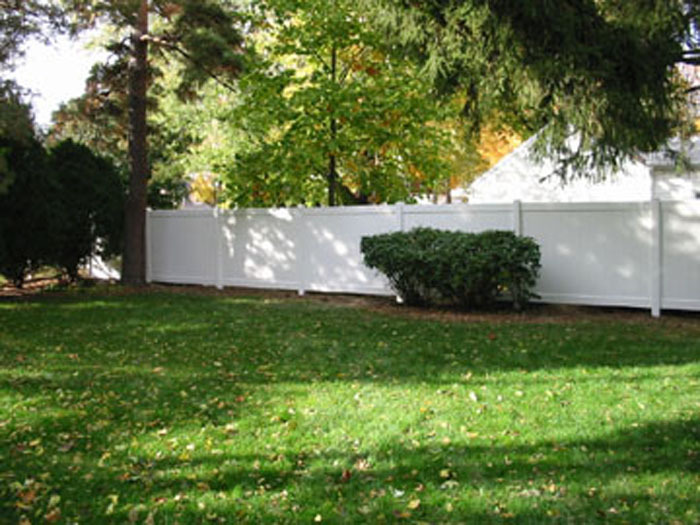 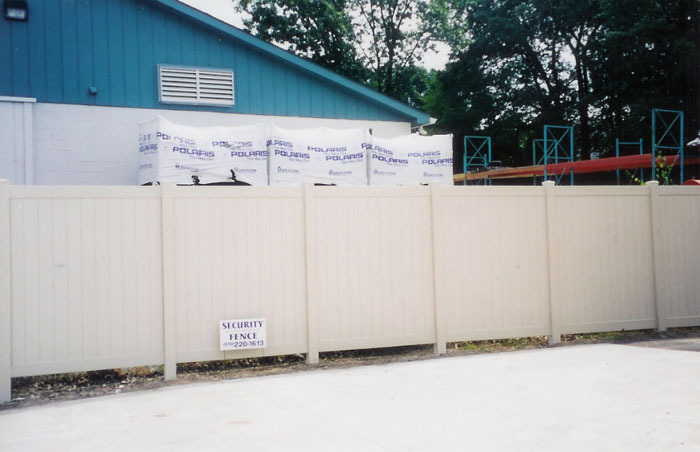 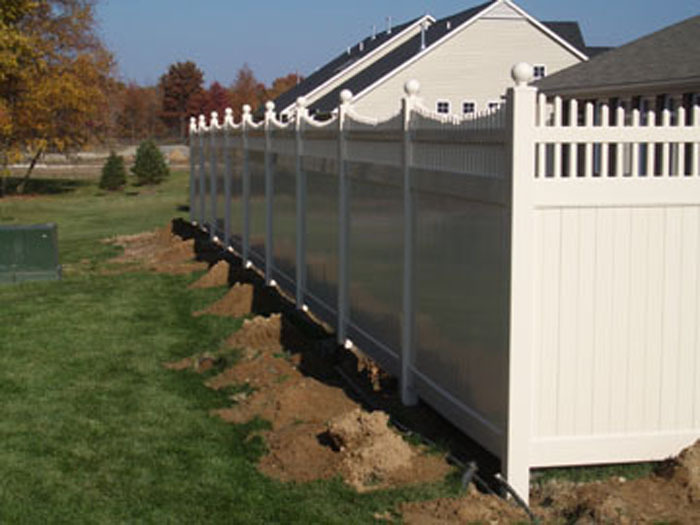 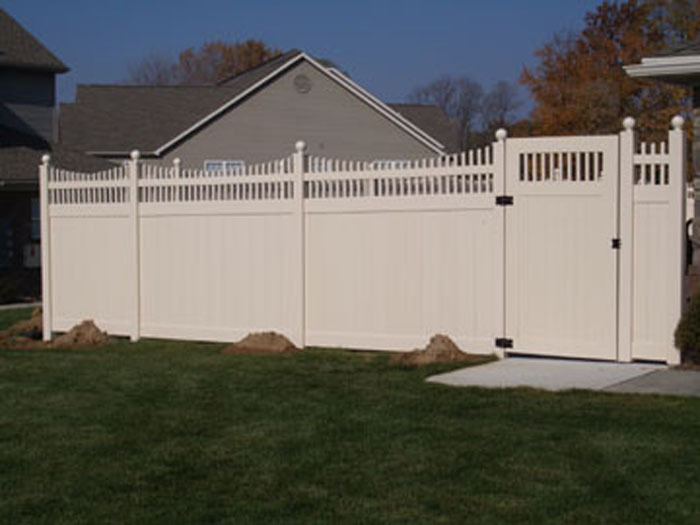 A full privacy vinyl fence will give your home that extra degree of security and visual privacy. 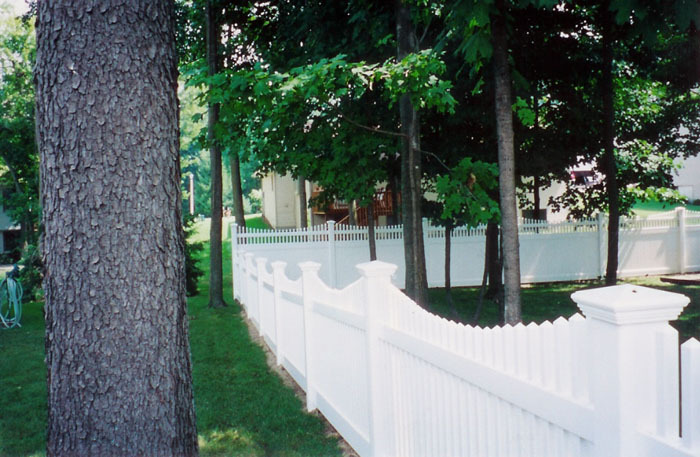 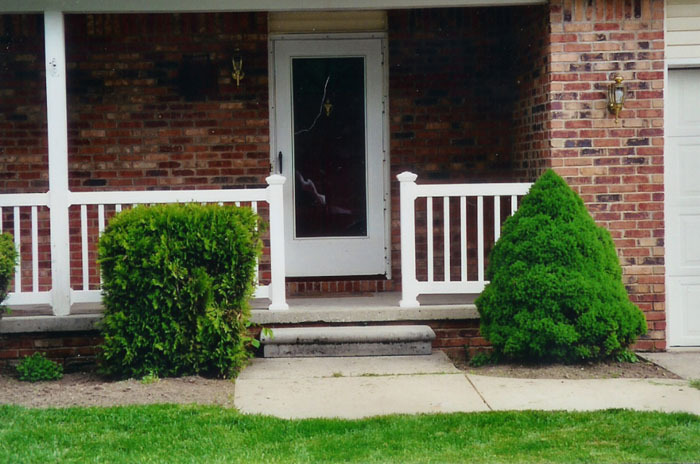 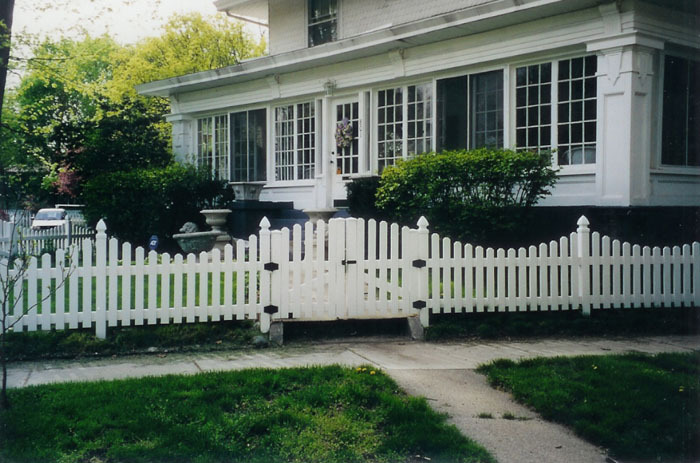 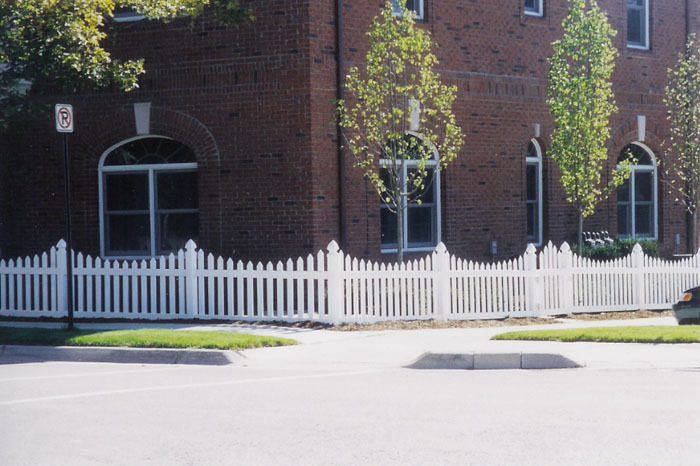 Constructed of virgin polyvinyl compounds, this traditional appearing fence is anything but traditional when it comes to maintenance. 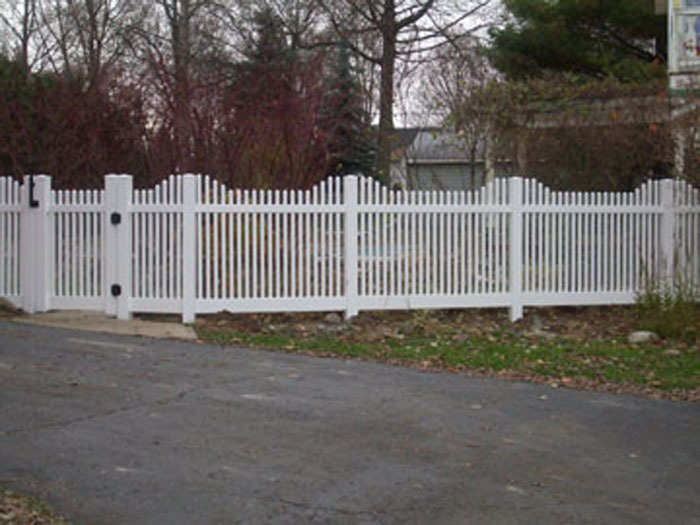 It won't yellow and you'll never have to paint it. 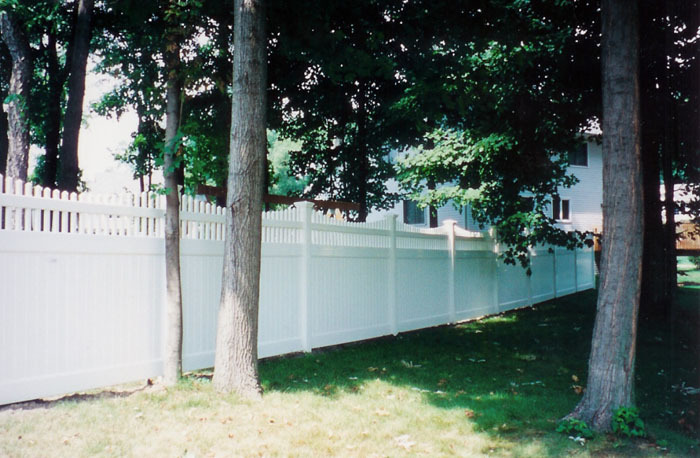 No other form of fence is so maintenance-free. 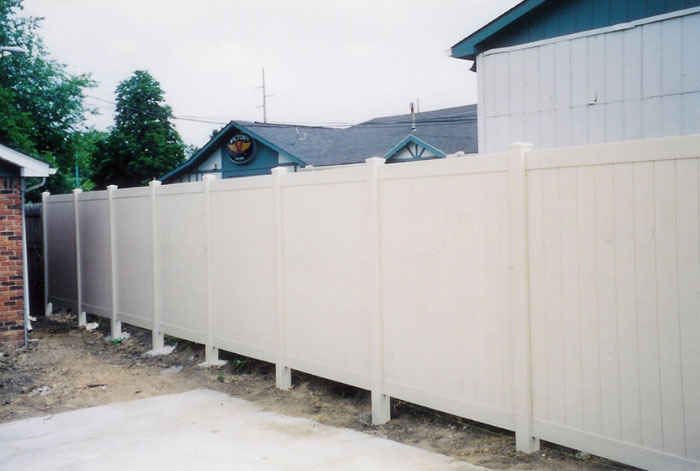 This solid privacy wall features tongue and groove verticals for greater fence strength. 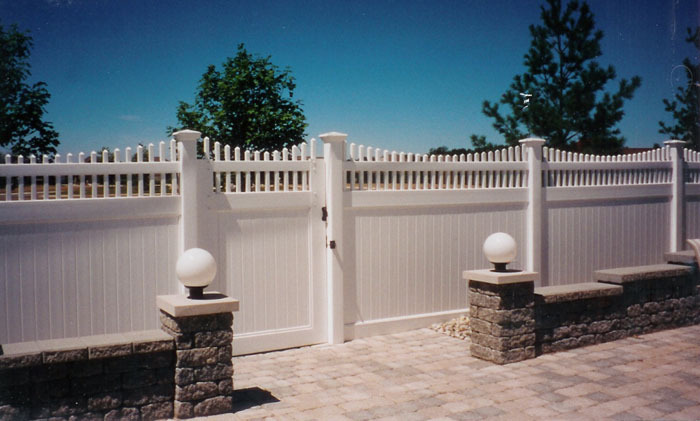 This has proven to be a solid choice among homeowners who want full privacy.